Northumberland Estates has secured a new lease to JT Dove, which is expanding its presence at Lionheart Industrial Estate in Alnwick. The news follows the recent announcement that the town will soon be home to a new M&S Foodhall, which will form part of a new retail park being developed by Northumberland Estates at Willowburn Estate. 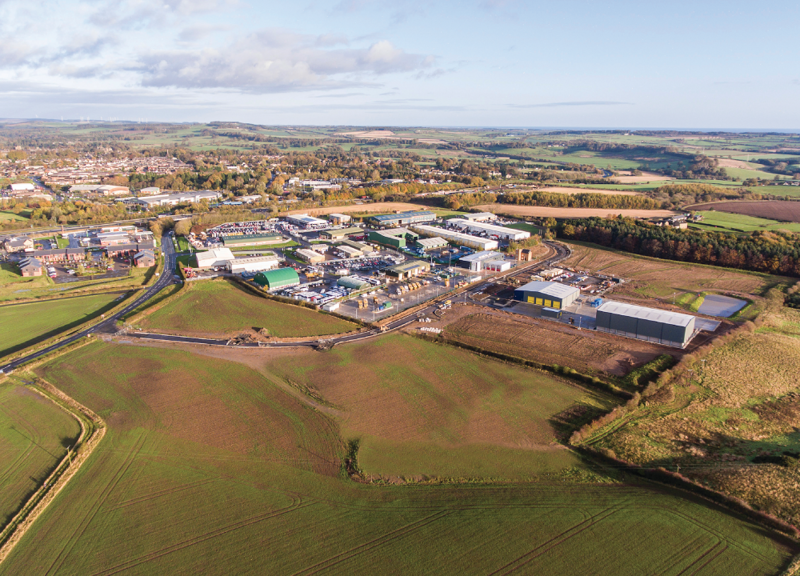 Northumberland Estates has recently invested £1.2million in new infrastructure at Lionheart Industrial Estate, which has enabled the developer to extend the estate to 56 acres with capacity for a further 200,000 sq.ft of new commercial development. JT Dove occupy more than 9000 sq.ft of industrial space at Lionheart Estate, which sits adjacent to the A1 at the southern edge of Alnwick town centre. The firm has agreed with Northumberland Estates to extend its lease commitments to 2030 and has also signed an additional lease on a further 5,500 sq.ft of space. The builder’s merchant currently employs eight staff at Alnwick but expects this number to grow to twelve as a result of the expansion. Steve Robinson, managing director of J T Dove said: “Northumberland Estates has been very accommodating in helping our business expand. We are now able to commit to the longer lease as the site caters for growth over the coming years. Earlier this year a new salt depot was completed at Lionheart for Highways England, which has signed a 15-year lease with Northumberland Estates.